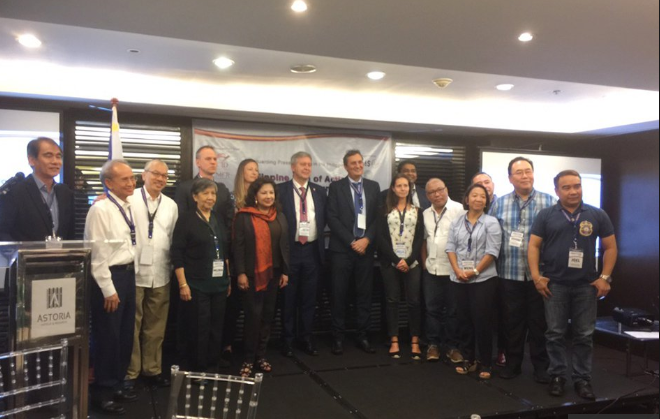 Manila, Philippines - Danish Ambassador to the Philippines Jan Top Christensen said on Wednesday said that some media organizations tend to be negative in the way they deliver their news, particularly with the issues concerning the government. Speaking before a multi-stakeholder gathering on the safety of journalists, an event spearheaded by the Asian Institute of Journalism and Communication and International Media Support, with funding from the European Union and Denmark's Ministry of Foreign Affairs, the Ambassador stressed that media are not able to present what the government is doing, a practice attributed to poor compliance with journalism standards. On the other hand, Christensen also pointed out that security and safety of journalists should not be overlooked as he recognized that impunity is still a problem in the Philippines. Meanwhile, the National Union of Journalists of the Philippines (NUJP) for its part stressed its concern on cases of assassinati0ns and harassment of journalists and other media personalities. Columnist and former University of the Philippines College of Mass Communication Dean Luis Teodoro also suggested the establishment of an industry-wide union. “It has never left our minds, but the kilIings are happening, we want to prioritize the safety of our colleagues first,” Espina said. Low wages in the industry, the rights of campus journalists, safety courses in colleges and universities, and government response to issues surrounding the security of media workers, are among other issues discussed during the forum.